With interview invitations beginning to roll out, it is time to ensure you are ready for this important final stage in the application process. First, if you have already been invited to interview at your target school(s), congrats! While all of your hard work on the applications, essays and GMAT/GRE may have gotten you this far, do not stop yet. The interview is one of the most important parts of the process and it is crucial that you are adequately prepared. Read some key tips on ensuring you are ready to win them over and then be sure to practice! Our former interviewers from M7 schools conduct mock interviews if you would like some additional support. 1. Learn more about each school’s interview process. Many MBA programs treat the interview differently. While fit will always be key, some schools are known to dig much deeper into specific areas of your application and background than others. Doing your research will help you prepare accordingly while putting you at ease during the interview. 2. Know why you want to join the school, carefully considering the program’s culture. This goes without saying but school specific interests and knowledge are key. Make sure you are prepared to discuss the aspects that attracted you to each program. In addition, you should demonstrate your understanding of the school’s culture and how you will thrive and specifically add value on campus. 3. Be sure you can clearly articulate your goals. It is important that you are prepared to succinctly explain what you want to accomplish in your career (this should tie with your essays), why this path is exciting to you and how you will succeed. Arrive armed with specific ideas to show the interviewer how you plan to make your unique mark. 4. Prepare stories; we find that bulleting works best. Research the most common questions asked for each school and prepare stories in advance. When crafting your behavioral question response, do not spend too much time setting up the situation. Instead, detail the key steps you took and how you excelled in each example. Always keep in mind the skills you want to highlight and tailor the stories accordingly. Generally, 4-5 stories can be easily modified to cover most top questions. Assign each story to potential questions in advance. Remember: Situations, Action, Result. 5. Show enthusiasm, bring questions & be yourself. These does not need much clarification. Ask only positive questions, be excited, smile and relax. Your background got you this far so be yourself and enjoy the process. Just as with any interview, practice and planning are key! 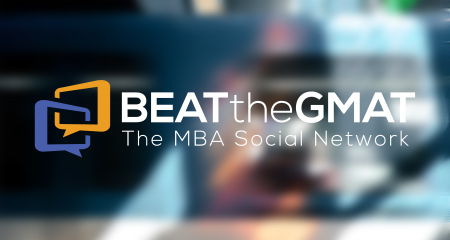 Personal MBA Coach has former M7 interviewers lined up to do mock interviews with you. Our clients have told us this is one of the most valuable steps they have taken to prepare. Email scott@personalmbacoach.com or click here to set up a mock interview today. For HBS, our mock interview includes help with the post-interview reflection and we also offer a limited number of group mock interview sessions for Wharton / Ross. Personal MBA Coach is here to help with everything from early planning, to GMAT/GRE/EA tutoring to comprehensive packages! 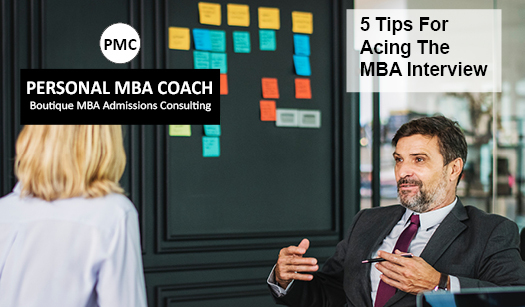 We have been guiding candidates through all aspects of the MBA application process for over 11 years with a 96% success rate. Call us today at 617-645-2424 or email at scott@personalmbacoach.com for a free consultation on your profile along with how we can help make your career dreams a reality! Sign up now and lock in rates before they increase this spring!